ESPN has released data that suggests the Golden State Warriors could finish the season with the best record of all time. ESPN simulated the team's chance of winning at least 73 games this year, which would break the all-time record by the 1995-1996 Chicago Bulls who won 72 games. 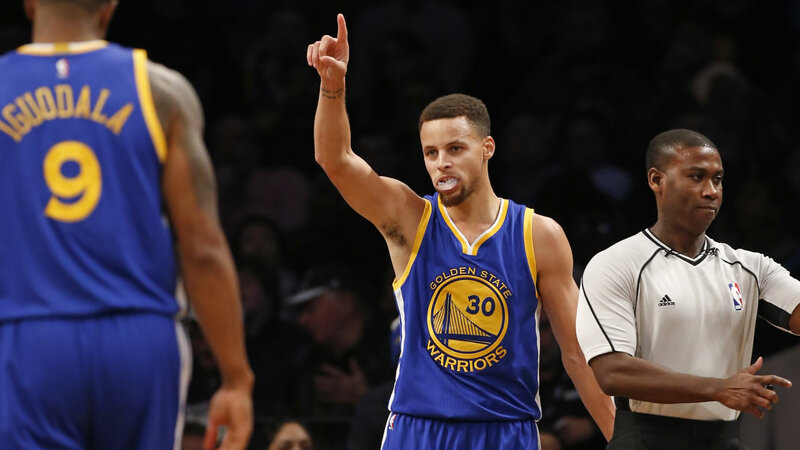 Their numbers found the Warriors have a 44 percent chance of winning at least 73 games. Now running the table is a different story. The odds of the team finishing the year 82 and 0 are less than one tenth of one percent. The Warriors play the Indiana Pacers at 4 p.m. Tuesday night in Indiana. For tonight at Indiana: Leandro Barbosa (illness), Harrison Barnes (sprained left ankle) and Kevon Looney (right hip surgery) are out.